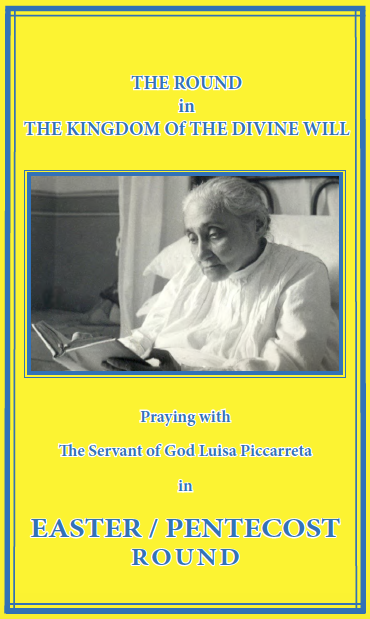 O merciful Heart of my Jesus, who for the salvation and sanctification of many souls have deigned to keep for numerous years on earth Your humble servant LUISA PICCARRETA Your Little Daughter of the Divine Will, grant my prayer: that she be glorified soon by Your Holy Church. 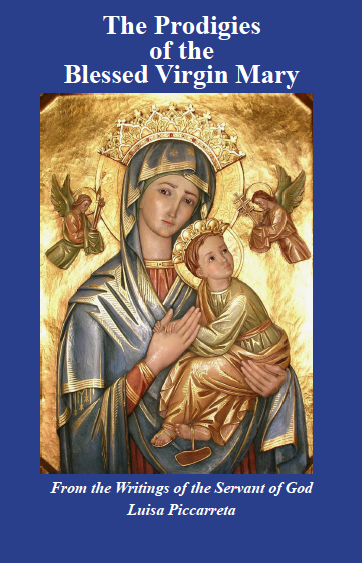 And through her intercession may You grant me the grace that I humble ask of You …..
† Fr. 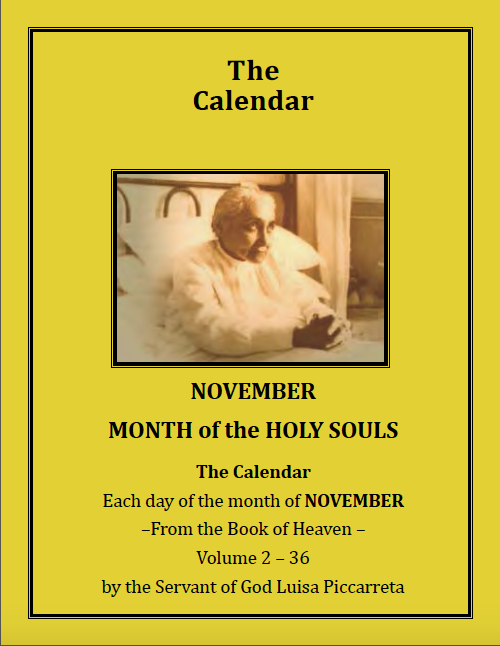 REGINALDO ADDAZI O. P.
Around early 1930, Maria de Regibus from Turin asked Don Calvi to send copies of the Treatise on the Divine Will and The Hours of the Passion of Our Lord Jesus Christ to well-known German Benedictine scholar, Fr. Ludwig Beda. Fr. 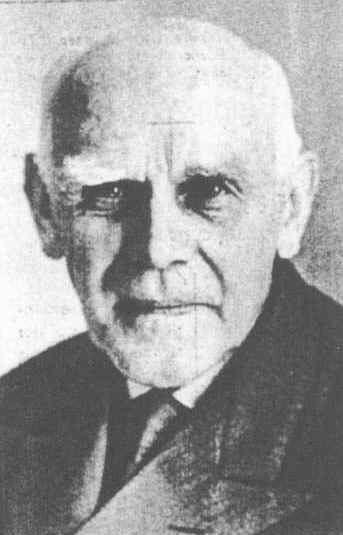 Beda a well known publisher of numerous books in several languages. 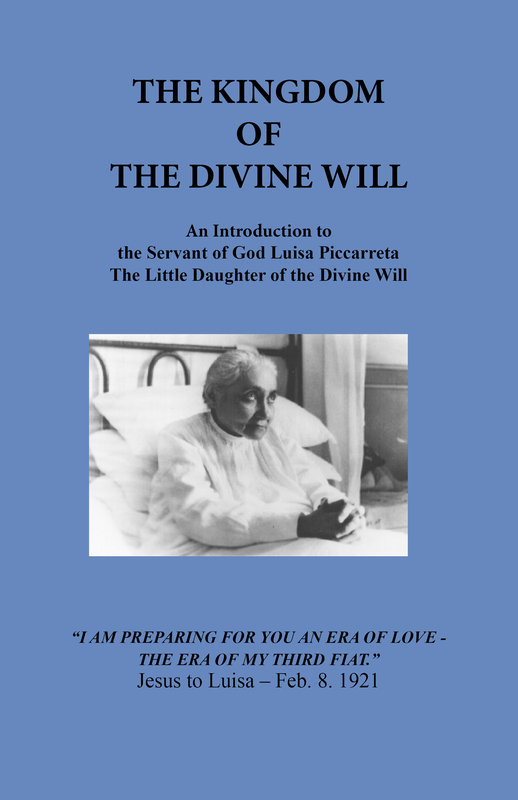 A couple of months after reading the Treatise on the Divine Will, Fr. 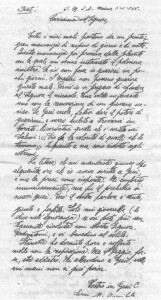 Beda wrote to Don Calvi asking permission to translate it into German. 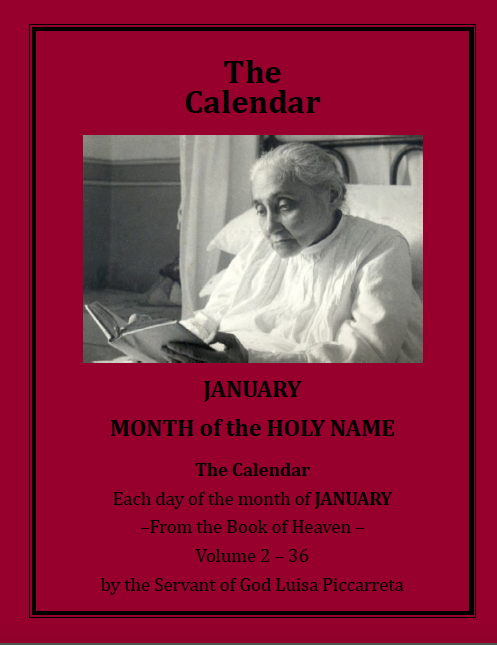 He called the Treatise greatest that has ever been written on this theme of the Divine Will. “The “Divine Will” has guided the Archdiocese, in this last decade, which completed of the works regarding the process of the Cause of Beatification of the Servant of God Luisa Piccarreta. 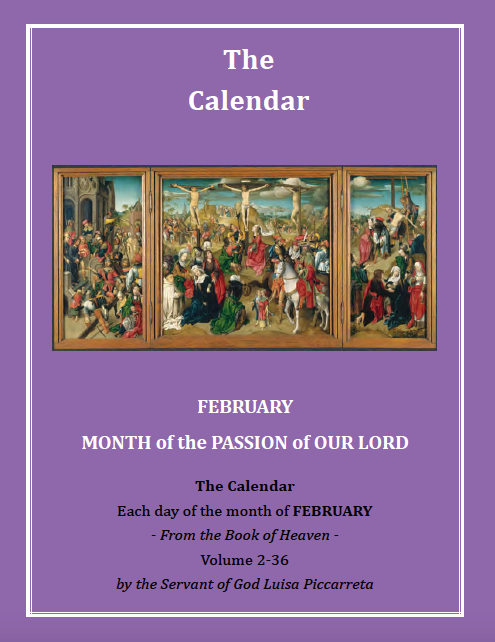 The Diocesan Postulation announces having completed this journey”. 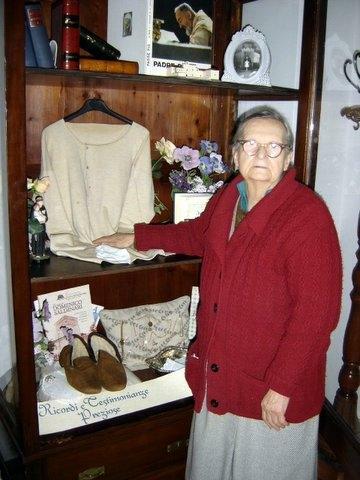 On March 7th, three days after the 59th anniversary of Luisa’s passage to Heaven Luisa’s cause was officially opened in Rome. 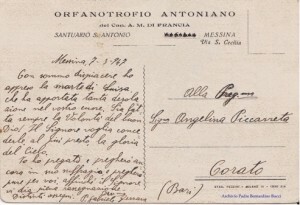 The official seals on the cases containing the documents from the Archdiocese of Trani were broken and the cases opened by the Congregation for the Causes of the Saints. 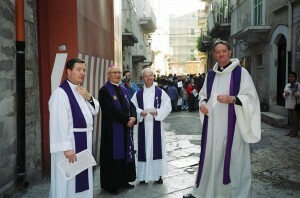 In attendance were Padre Bernardino Bucci and the Vicar General of Trani Msgr. Savino Giannotti. Fr. 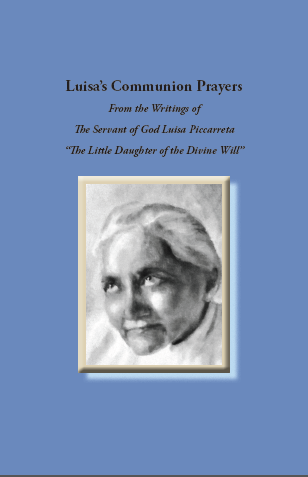 Isaia often used to say: “Luisa is a great saint and Fr. 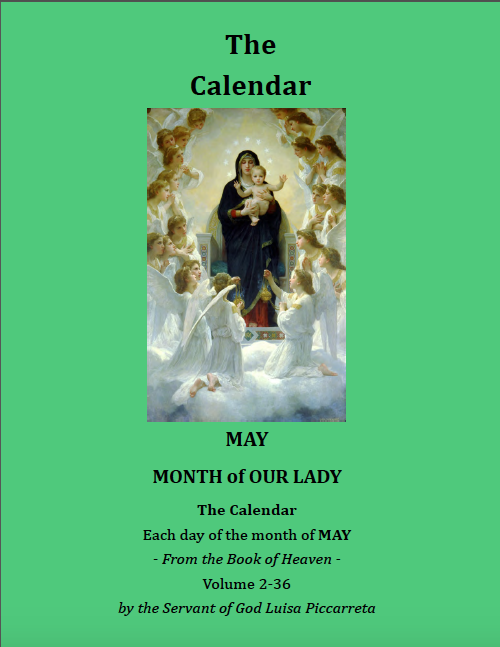 Annibale another great saint, because he enabled us to know her. Saints understand one another. It is God who brings them together”. These are Fr. Isaia’s impressions of Fr. 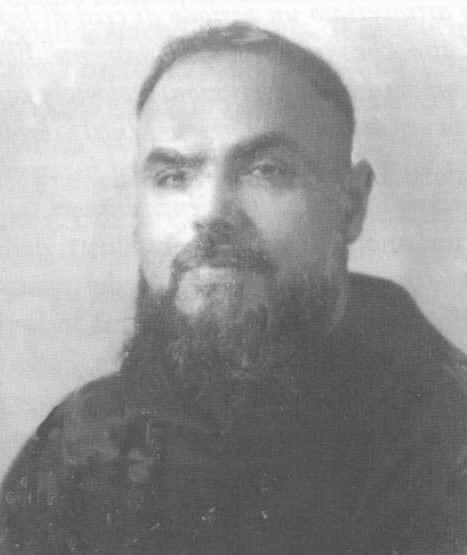 Annibale: “He was a priest who truly belonged to God, and at the sight of him, we students would gather round him with great sympathy. 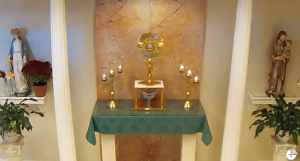 We all went to him for confession. He had an unusual appearance, as well as an unusual manner of speech and gestures, always moderate and with a reserve that did not command fear but filial trust. 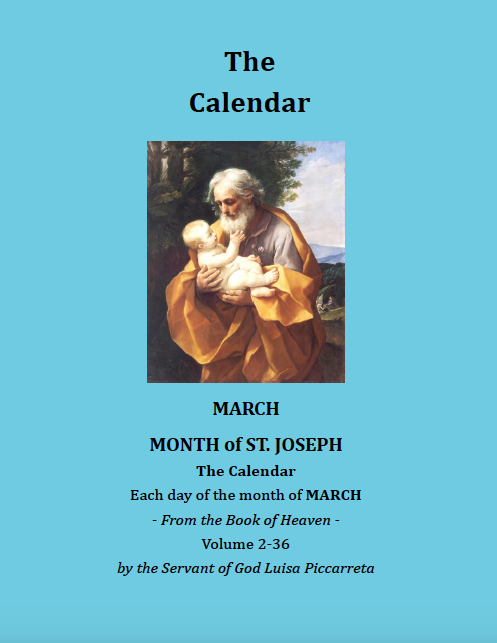 He constantly spoke to us of God’s Will and exhorted us to bear with hardships and contradictions. 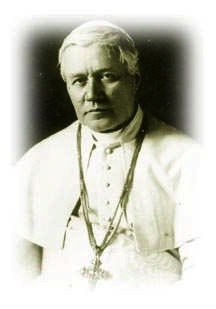 He told us that a soul who was consecrated entirely to God was suffering and praying for us all”. 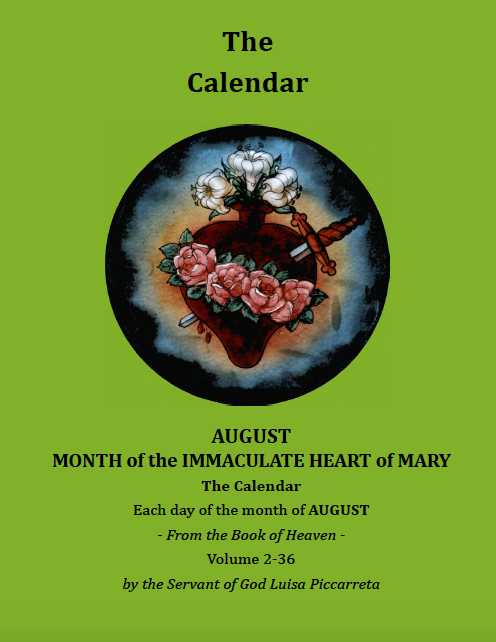 “This soul”, Saint Annibale said to Fr. 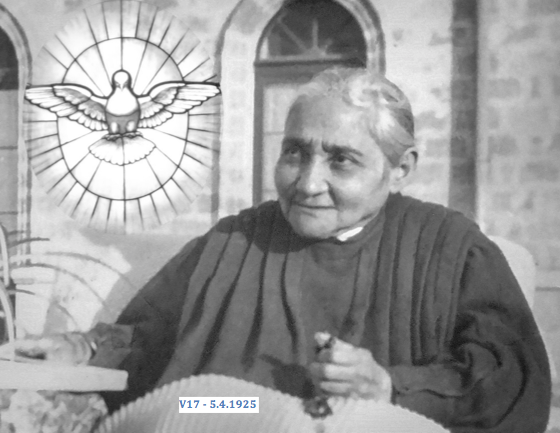 Isaia, “is a daughter of your region, and this is a sign that the Lord is blessing the people of Bari”. 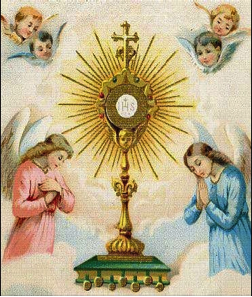 To comfort him in his doubts and sufferings, he gave him L’orologio della Passione, which he himself had had printed.Fra Isaia, a Capuchin student at the time, asked him where this holy soul lived and who she was, but Fr. 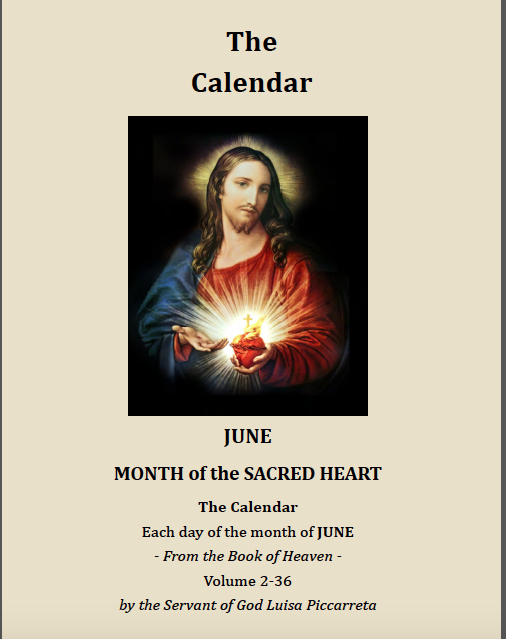 Annibale answered: “just think about preparing yourself properly for the priesthood and always doing God’s Will, and in due course you will discover who this soul is”. Fr. 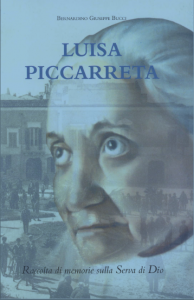 Terenzio from Campi Salentina also deeply venerated the Servant of God Luisa Piccarreta and would talk of her every time he met me. 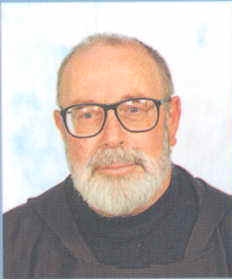 It was he who told me that the beatification cause of Fr. 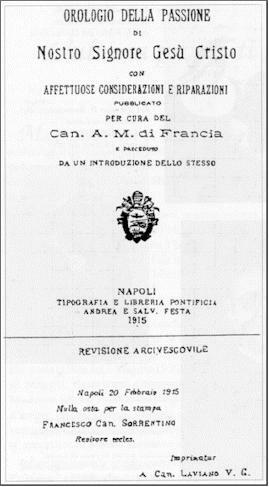 Annibale, Luisa’s confessor, had been initiated. When I was a young novice at the Friary of Alessandro, Fr. Terenzio was superior. 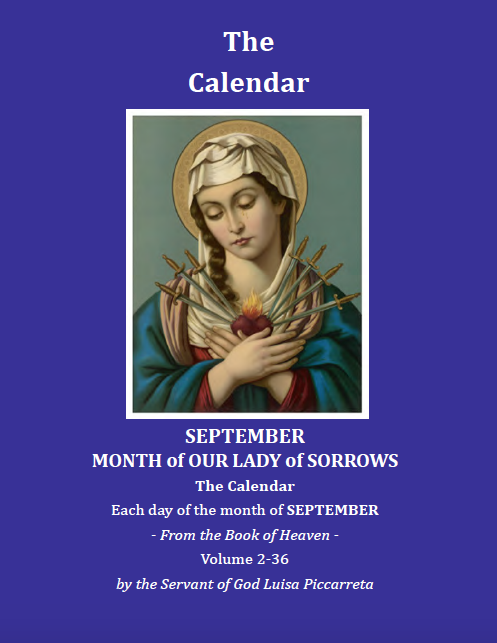 One day he offered me this testimony: “There was a period when I was going through a crisis in my faith, and one day I went to Luisa, who listened to me kindly. She clarified all my doubts, and gave me such clear and profound theological explanations that they were a revelation to me. All the doubts that my theological studies had not clarified were dispelled by Luisa. 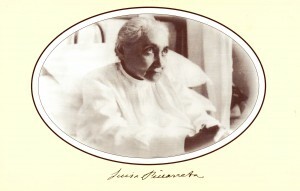 There is no doubt that Luisa had the gift of infused knowledge”. Fr. 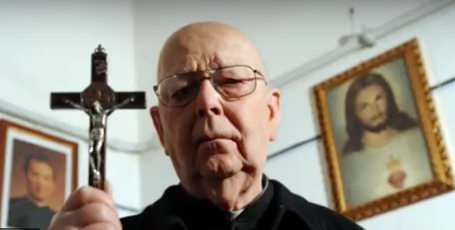 Guglielmo from Barletta, one of the most distinguished priests of the Province who had several times been Minster Provincial and was rector of our theology center for students, spoke one day, during a lesson on ascetics, of Saint Annibale and his works. He spoke at length of L’orologio della Passione and of the book Maria nel Regno della Divina Voluntà. 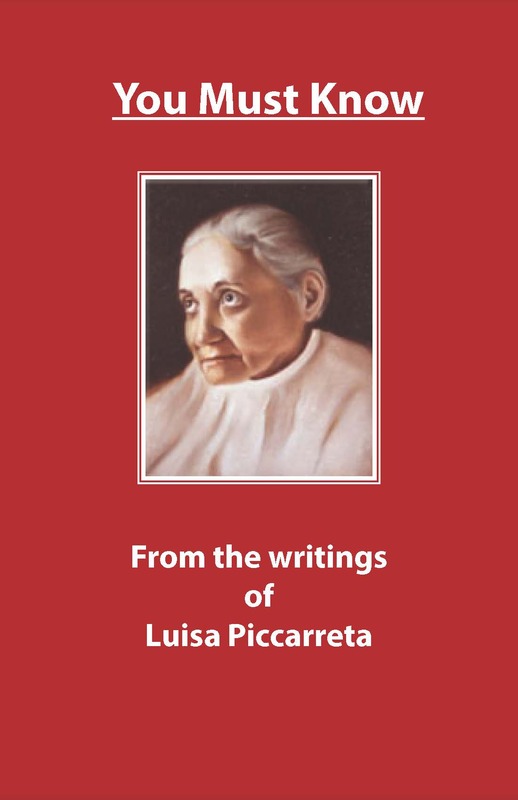 Referring to Luisa Piccarreta, he said: “She is a great and marvelous soul. We are not even worthy to be her fingernail”. Fr. Giuglielmo did not tell me whether he had known Luisa personally. 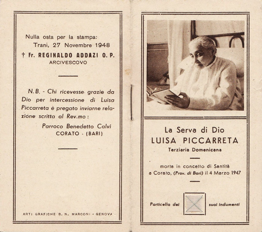 When Luisa was condemned by the Holy Office and her works put on the Index, Padre Pio sent her this message though Federico Abresch: “Dear Luisa, saints serve for the good of souls, but their suffering knows no bounds”. 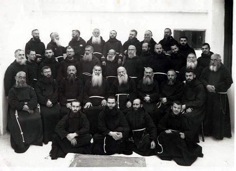 At that time Padre Pio was also in very great difficulties. 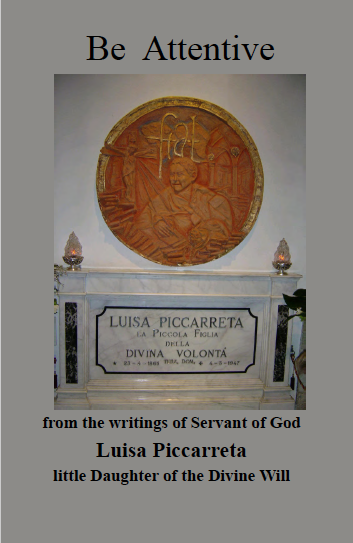 Blessed Padre Pio sent many people to Luisa Piccarreta and would say to the people of Corato who went to San Giovanni Rotondo: “What have you come here for? You have Luisa, go to her”. 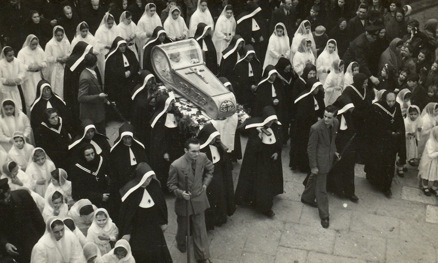 Aunt Rosaria went regularly to San Giovanni Rotondo, especially after Luisa’s death. 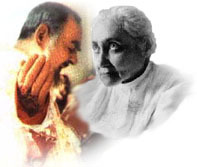 Padre Pio knew her very well, and when Luisa was still alive he would ask Aunt Rosaria when he saw her: “Rosa’, how is Luisa?”. 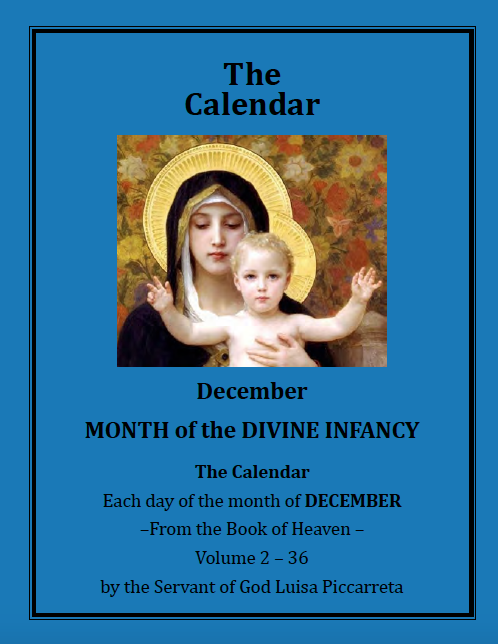 “Several witnesses relate that one day Father Anniable came to the house of Luisa more content than ever, and said that he had brought this book to the Holy Father, Saint Pious X, who had received him several times in private audience. 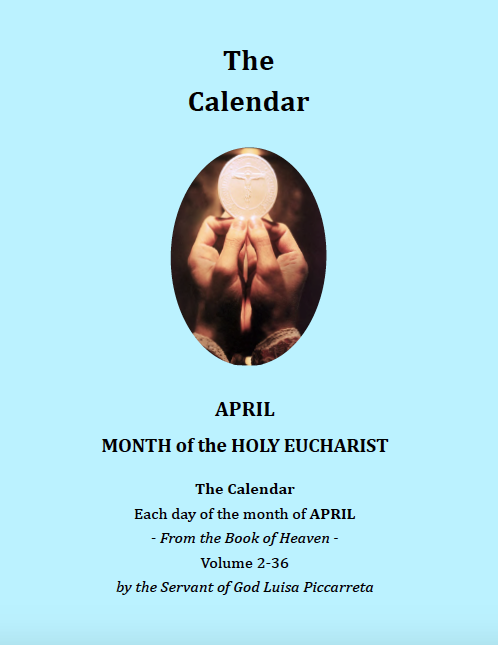 Father Anniable was reading him one of the Hours (that of the Crucifixion), when the Pope interrupted, saying: “Not this way, Father, but kneeling one must read. It is Jesus Christ that is speaking.” Finally, Father Anniable, as Censor of the writings, obtained the Imprimatur from His Excellency the Archbishop of Trani for the volumes written by Luisa (at that time there were already nineteen). 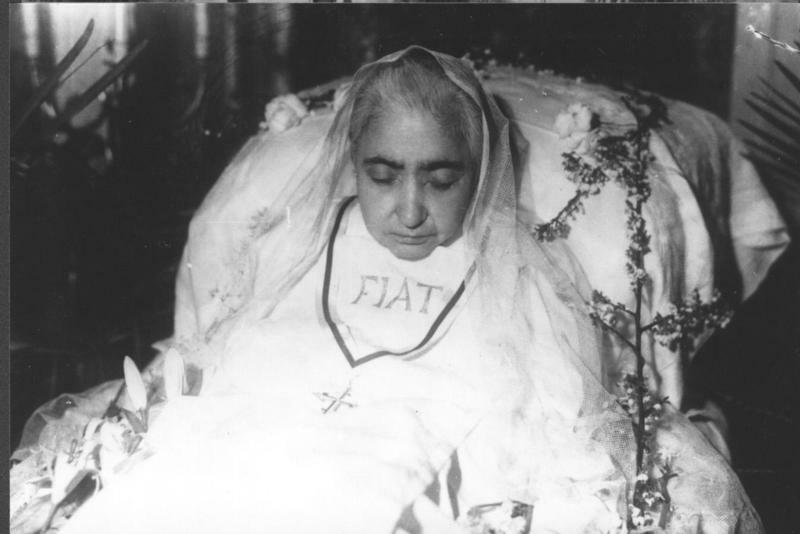 At first I did not realize that she meant Cardinal Cento. 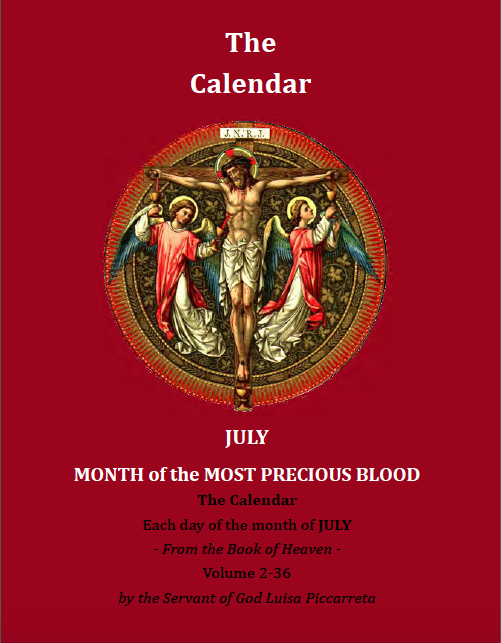 Once, when I was at home, the postman handed me a letter covered in Vatican stamps, and bearing a cardinal’s coat of arms; only then did I understand who Fr. 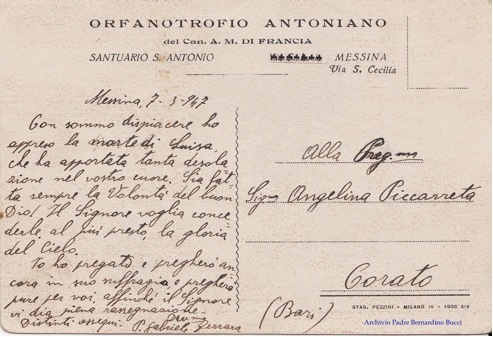 Cento was, whom I had heard my aunt mention so often. 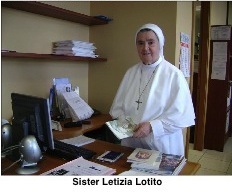 I asked her to explain why she called a cardinal by that name, but she answered: “I was very close to Fr. Cento, I treated him as if he were my brother. 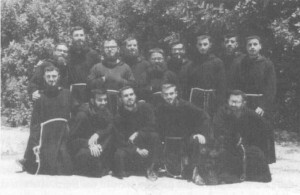 Every time he came to Corato, to Luisa’s house, it was I who accompanied him to various places, to see the archpriest or the Bishop in Trani, and I showed him the sights of Corato many times. 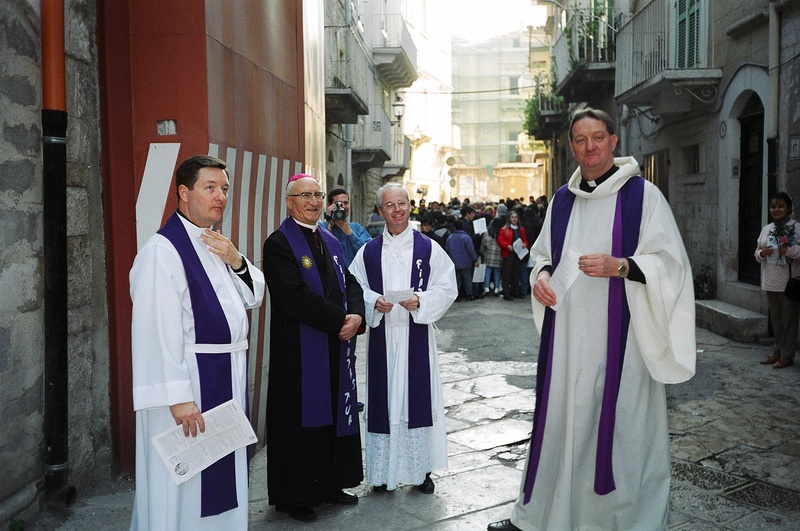 He was a cheerful, jocular person, and when he celebrated Holy Mass he seemed an angel. I knew Fr. Cento from the days of my youth and on various occasions we had a meal together at Luisa’s house with Angelina. Cardinal Cento would spend a long time talking to Luisa, and he once said to me ‘Luisa always tells me that they will ‘dye me red’ (make me a Cardinal), but“, and he said this jokingly, “‘I shall try not to have myself rigged out in fancy dress!’. 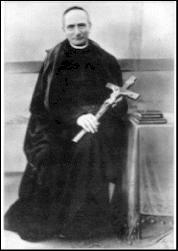 One day I saw Fr. Cento with a dark look on his face, and it was the only time that he did not joke and had very little to say. It was when Luisa was condemned. 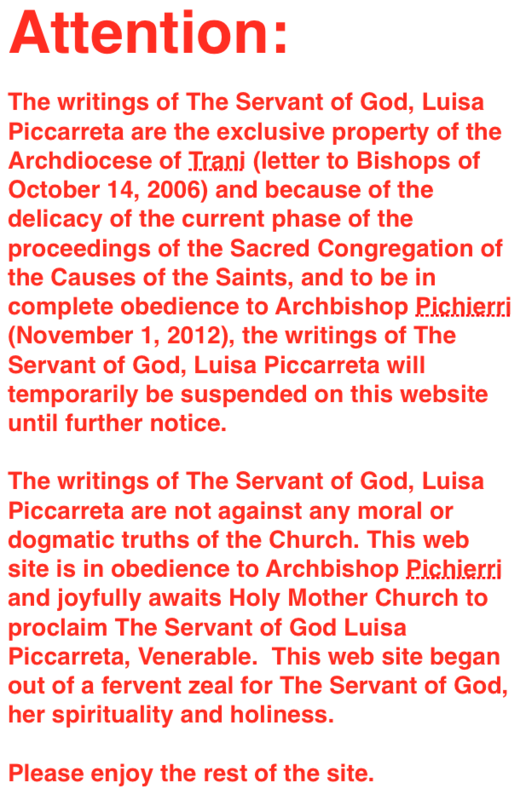 Despite the censure of the Holy Office, Fr. 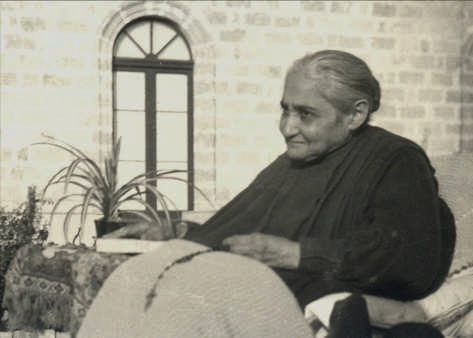 Cento did not interrupt his visits to Luisa and he answered my question as to what had led to this disaster with these dry words: ‘Rosaria, please don’t talk about all this, because it is we who are the most hurt by it’. 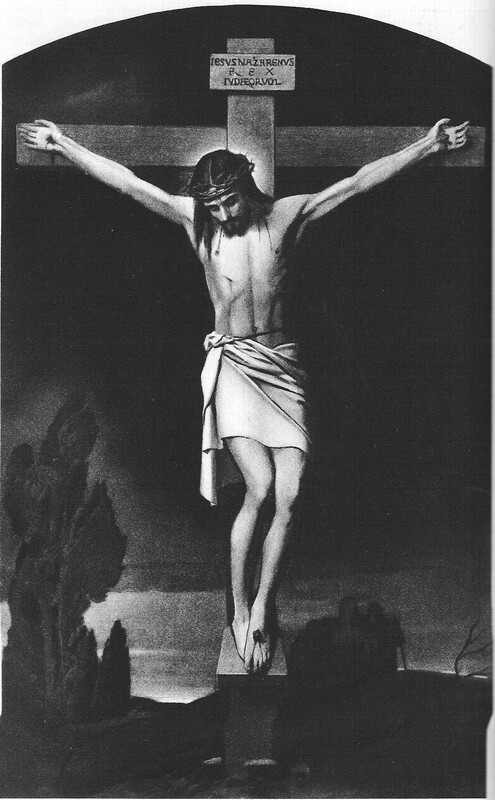 And after a long silence, he added: “These are tremendous trials that the Lord is sending us’”. 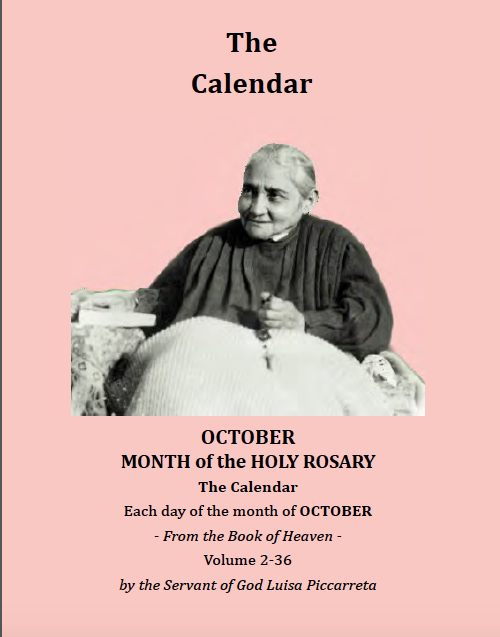 I can maintain that the process of canonization of Fr. Hannibal was influenced also by his relationship with Luisa, I must also affirm that, in her turn, Luisa was drawn by Fr. Hannibal to share also in the concern for the Rogate. 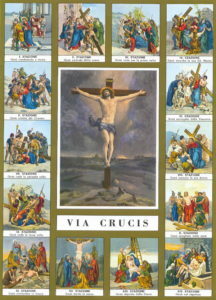 In fact, in the writings of Luisa on can find explicit references to vocations, as for example, in the fourth hour of The Hours of the Passion of Our Lord Jesus Christ, :I will pray to you for the priests, that they be worthy of your ministries…Jesus, I make reparation for the mistaken vocations of priests on their own part and on the part of those who ordain them without using all the proper means to discern their true vocations. 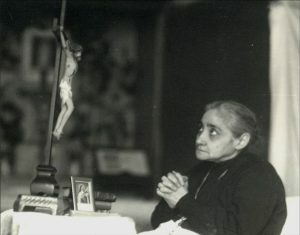 In the 19th Hour she prays for “all priests, that they be light to the people,” and later, during the same hour, she extends her prayer to other vocations, asking of Jesus, “Give me your heart, so that I feed your same thirst for souls consecrated to you.” There are many other references to vocations throughout the volumes of Luisa’s writings. This is the will of God: your sanctification (1 Thes, 4:3). Now, the Rogate, the charism which characterizes the spirituality of Fr. Hannibal is none other than an expression of the Will of God, who sees the harvest of souls weary and forlorn like sheep without a shepherd, and at the risk of being lost. 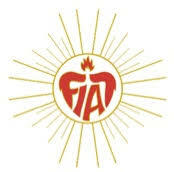 The Lord has compassion for them and commands his disciples to pray to the Lord of the Harvest that many respond with their generous Fiat to His call and become new apostles of the Divine Will, ready to work for the salvation of all. Every life is a vocation, and holiness is the common vocation of every Christian. 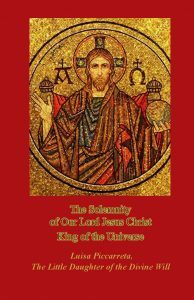 “God has called us to holiness,” St. Paul tells us (1 Thes. 4:7). 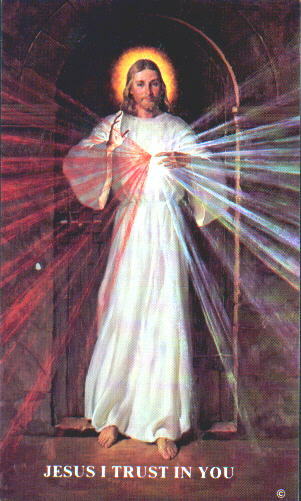 But to respond to one’s proper vocation is none other than to fulfill this call and to realize the plan of the Will of God for us. 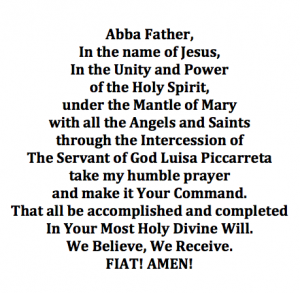 We are therefore in the realm of the Fiat Voluntas Dei (The Will of God be done). 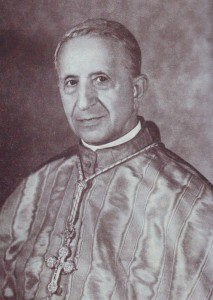 His Excellency Msgr. Cassati, ex-Archbishop of the Diocese of Corato to which Luisa’s city belongs, had this to say at the international Congress on Luisa held in Costa Rica, “The Church proclaimed Fr. Hannibal Blessed. Without doubt, part of the sanctity of Luisa reached his soul, conforming him to the Fiat and to the Divine Will which the Servant of God cultivated to tirelessly.” It was the same Luisa who called our Saint the First Apostle of the Divine Fiat and its Herald in her writings. 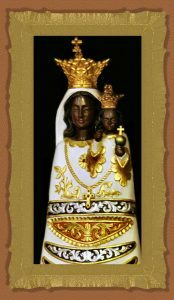 Dear Mother (Father Gobbi turns to the statue of Our Lady next to him), forgive me, I am not pleased that the serpent is here but I am pleased that You crush its head—crush it! 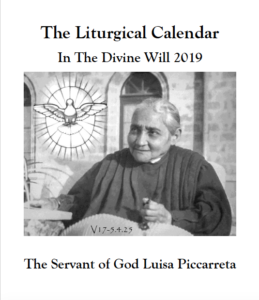 “Here in Italy, a certain woman named [Luisa] Piccarreta, [Servant of God,] whose beatification is in progress, wrote a great book about Divine Will. 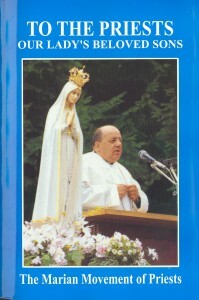 Once when I was in Mexico, I was shown passages of the book, which related to so many topics about which our book [To the Priests: Our Lady’s Beloved Sons] also speaks. “Let me cite a passage from this book [The Book of Heaven] by [the Servant of God, Luisa] Piccarreta. 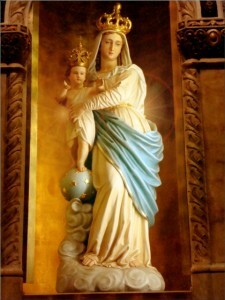 She says that 2000 years after creation came the Great Flood so that the water would cleanse mankind; and 2000 years later, came the flood of the Blood: the Redemption; and still 2000 years hence, there will be the flood of fire—a spiritual fire, I believe—and finally the Kingdom of [the] Divine Will will come upon this world: because every creature will fulfill the Divine Will of God in a complete way. 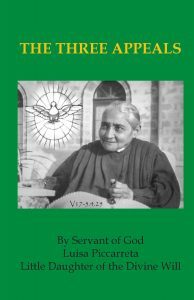 AP – If these souls have sufferings, problems and many other things, they can say the Lord: ‘Lord, I can do nothing, but I know that You can do everything. Take my will, and come to act in me,…to work, to walk, to breathe, to suffer in me…’ As we empty ourselves and let Him do, our lives become more simple,… and perfect. It will be easier to proceed along the path of this life. When I met Luisa for the first time, I said to her: “I want to become a nun” – She answered me “You want to become a nun? Then you must put your will under your feet.” With these words, she wanted to impress obedience and submission to the superiors. She said: “If you want to become a spouse of Christ you must have these characteristics of a spouse. 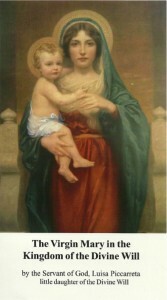 Having read the writings of Father Hannibal, I have noticed he appreciated the spirituality of Luisa; he said: “I have never found spirituality so sublime, this is not a spirituality of the earth but a celestial spirituality”, in fact everything which Luisa was said to produced was actually produced by Jesus and the Madonna. 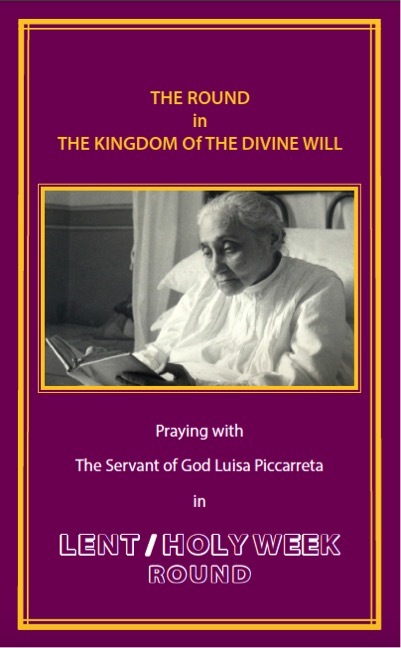 Luisa has absorbed it, because Luisa’s life was dipped in the hearts of Jesus and Mary as they instructed her. 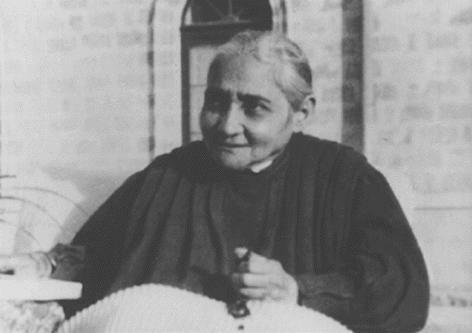 Sister Giovannina was a mine of information. 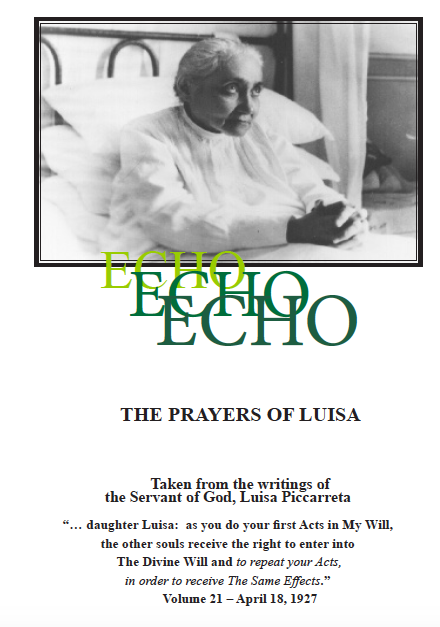 She never ceased to speak about Luisa. 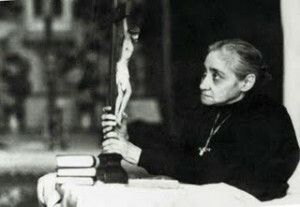 She knew very well all the clergymen who went to Luisa. 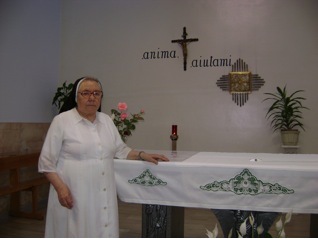 When I was with Sister Giovanni, in the convent of Monza, she was inexhaustible. She told me everything I did not know. 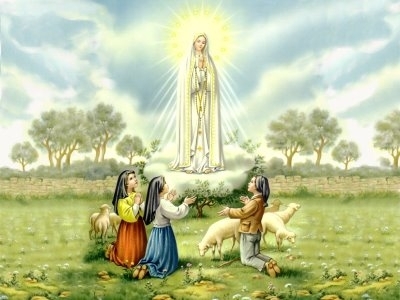 She told the that one day Father Bracale had gone to speak to Luisa and when he was celebrating the Mass, he was raised from the earth, leaving her terrified since she was still a child. 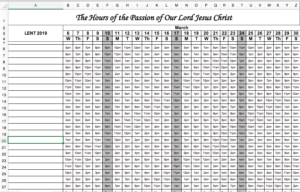 This measure was to be read out in all the churches of the diocese. Aunt Rosaria described this unusual episode in this way: “It was about eleven o’clock when we heard the sound of a carriage that stopped right outside the porch of Luisa’s house. I looked out from the balcony to see who it was and saw three priests, one of them, as it were, supported by the other two. Luisa said to me: ‘Open the door, the bishop is coming’. 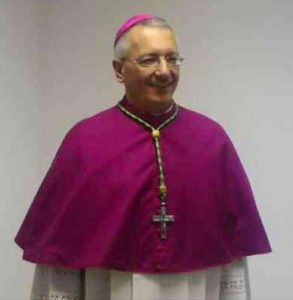 In fact, Archbishop Regime was at the door, supported by two other priests“, probably the vicar and chancellor of the Curia of Trani, “the bishop was uttering incomprehensible words. He was immediately ushered into Luisa’s room. 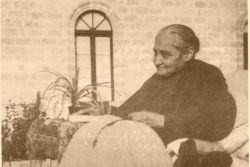 It was his first visit to the home of the Servant of God, who, as soon as she saw him, said: “Bless me, Your Excellency“. 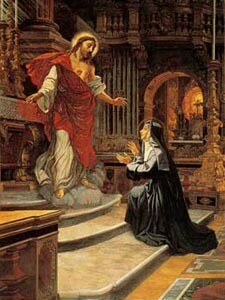 The bishop raised his hand as though nothing had happened and blessed her. He was completely cured! Archbishop Regime remained in Luisa’s room in a secret conversation for about two hours, and to the wonder of all, especially the priests, he emerged from her room smiling. He blessed those present and left“. Before I end these memoirs, I cannot omit to record a most outstanding episode. singer in the “upper room” of Via Panseri. sto ca nan pianger” (Mother, I’m here, don’t cry). especially the older women whose sons were serving in the war. to life by Luisa the Saint. 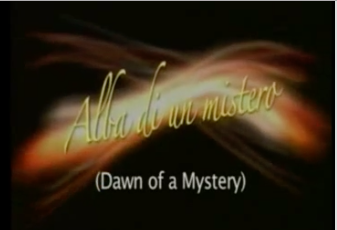 both by Luisa and by the clergy. I had heard so much. 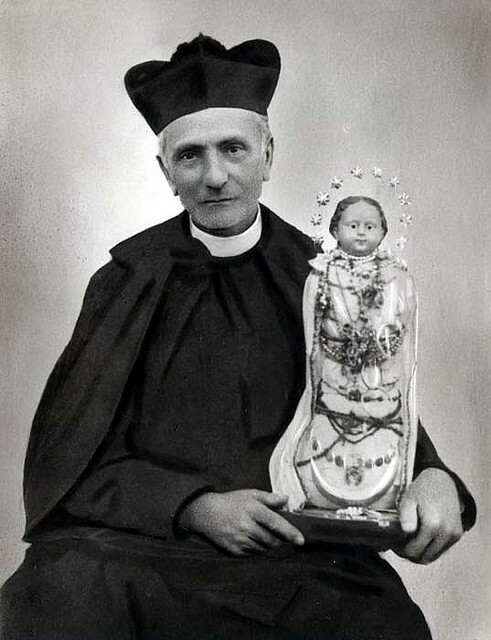 1927, Blessed Annibale died serenely in the town of Messina. 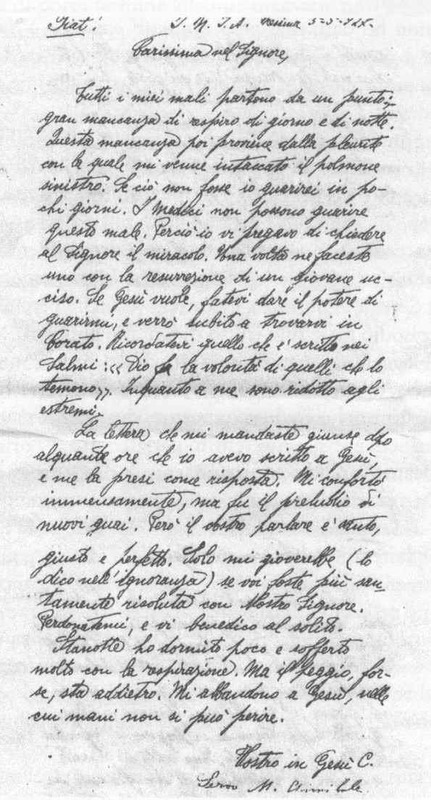 Letter from Saint Annibale Maria di Francia to Luisa Piccarreta, sent a few days before his death, in which he confirms the miracle.